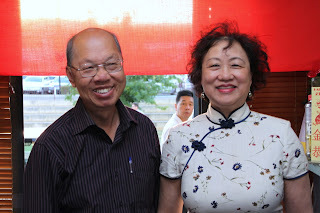 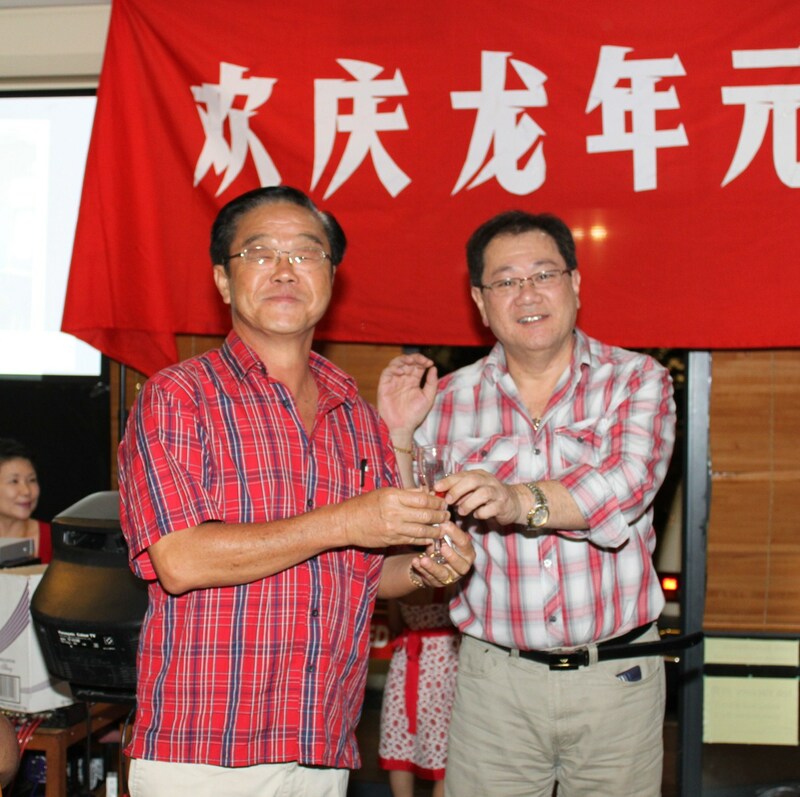 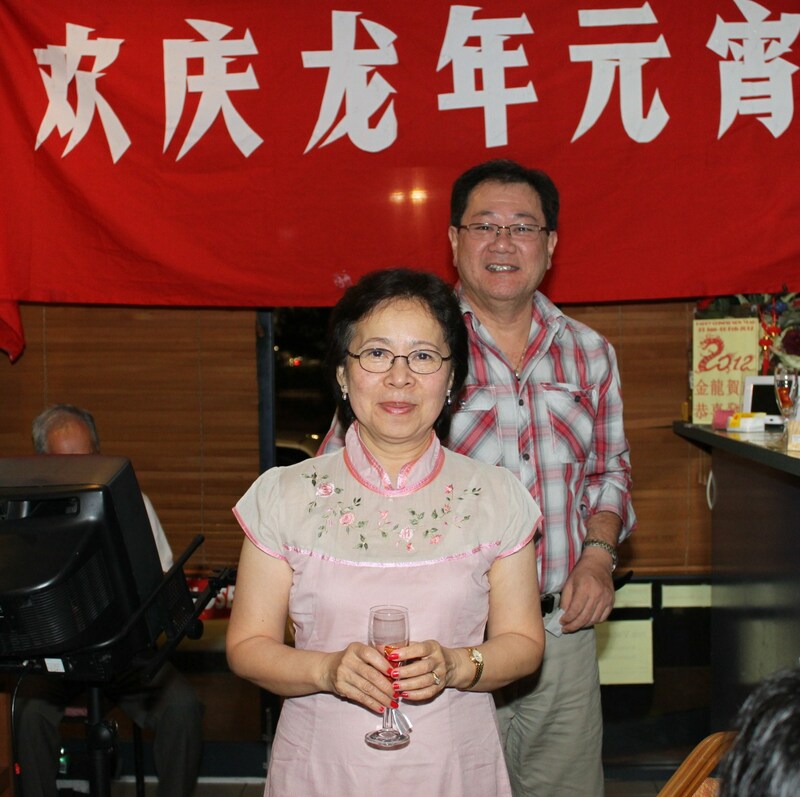 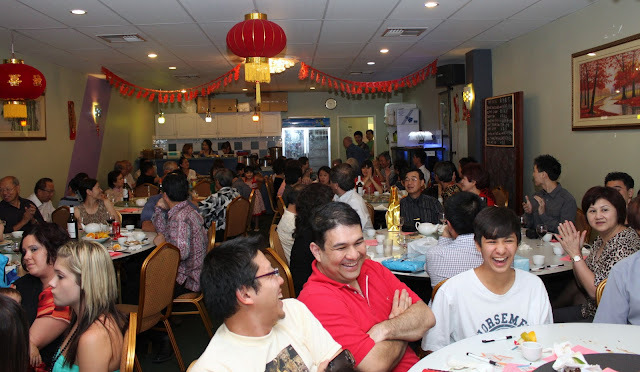 Our Honorary Advisors and Committee of Management joined HakkaWA Members in a Dinner Gathering at Happy Star Noodle House in Myaree to celebrate the 2012 Chinese New Year to welcome the Year of the Golden Dragon, on Sunday 5 February 2012. 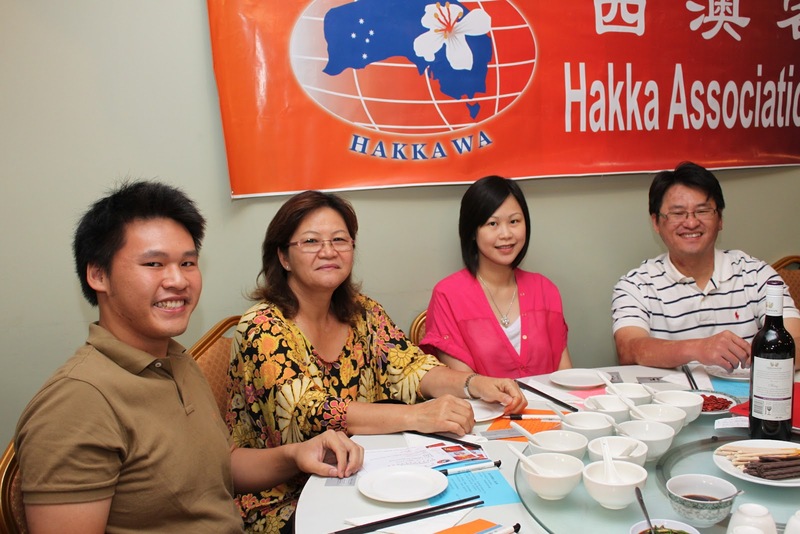 Xiao Ye the Publicity Officer of HakkaWA discussing final preparations for the event. 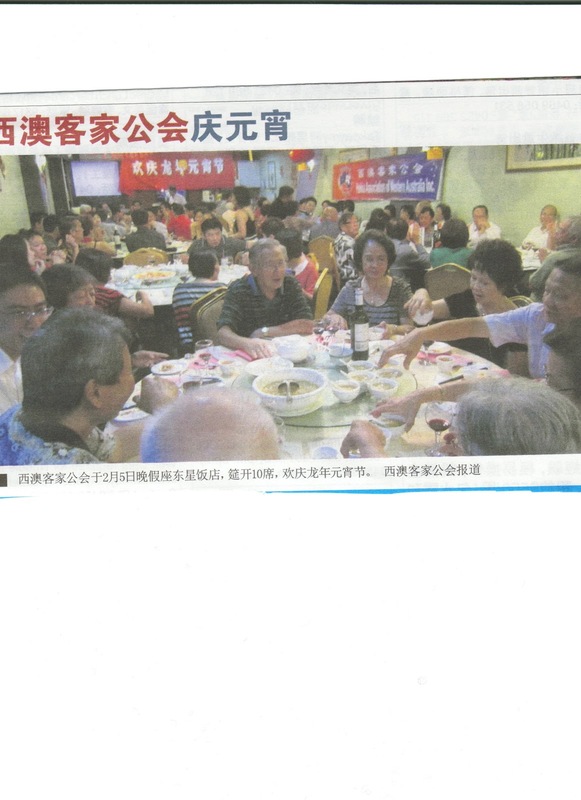 梁英源老先生和妇人 Mr & Mrs Noen & another Hakka member from Indonesia also. 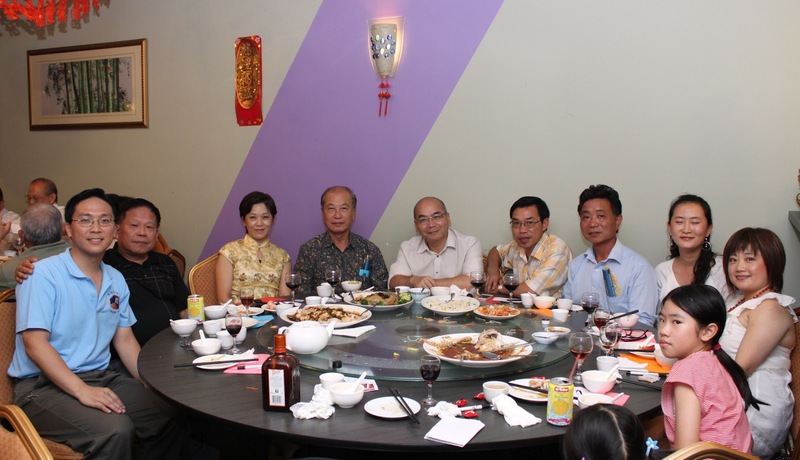 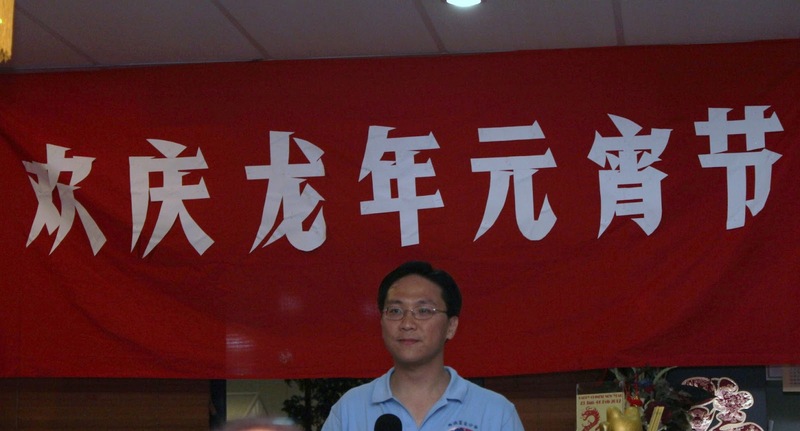 From left: Keith, Xiao Ye, Xu Yi, Edward Chin, Fei Zhi, Danny Deng, Wu Ming, Mary, Joy Chen. Jonas with nephew Jayden and friend. 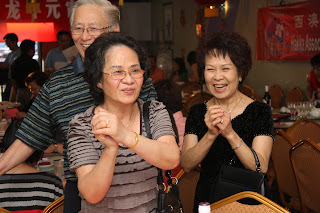 A scene of happy members at the venue. A group photo of some of the attendees who stayed behind a little later. 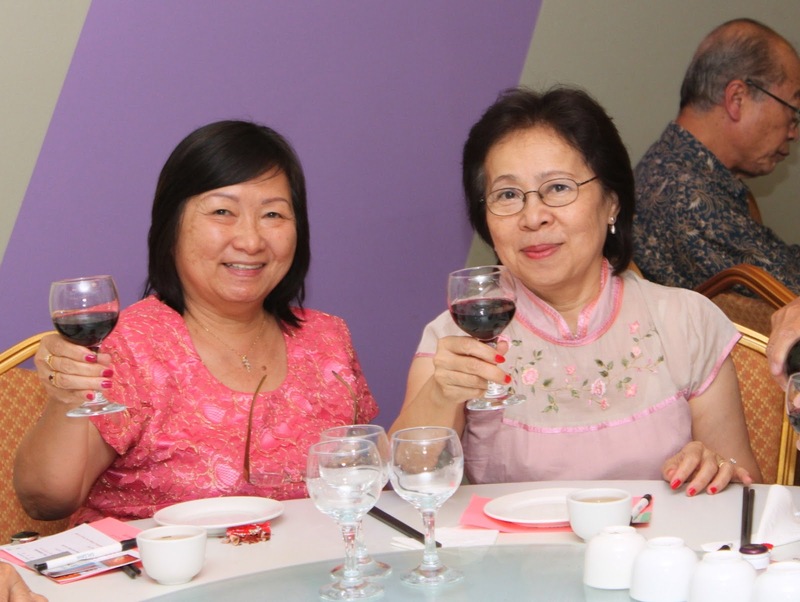 Mrs Agnes Yapp cheering with a friend. 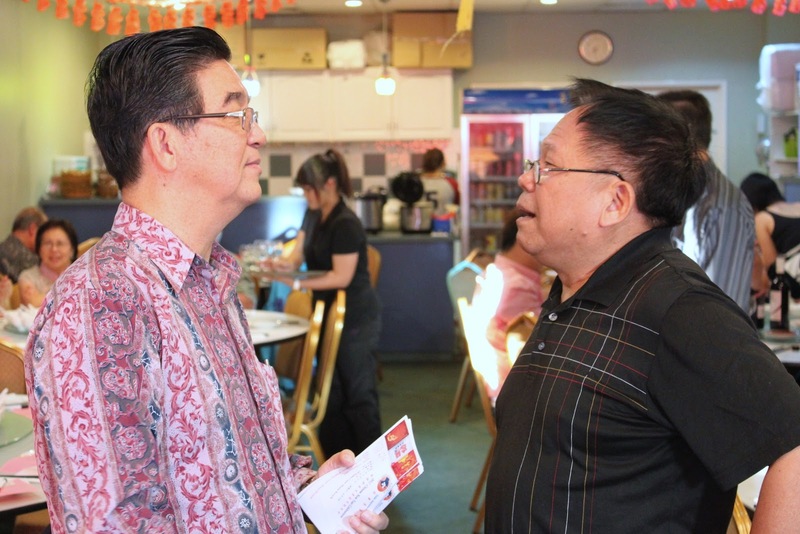 Executive Vice President Keith Yong and Xiao Ye start the ball rolling. 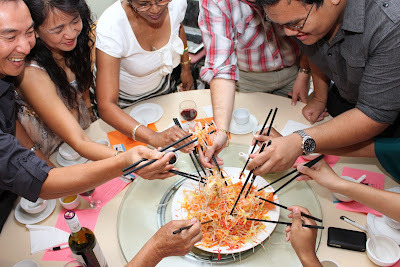 捞生Tossing the raw fish for a good year ahead! 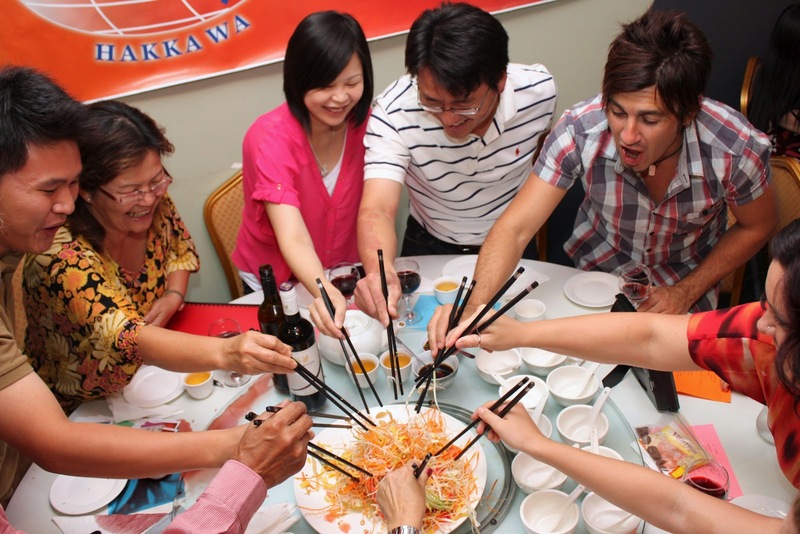 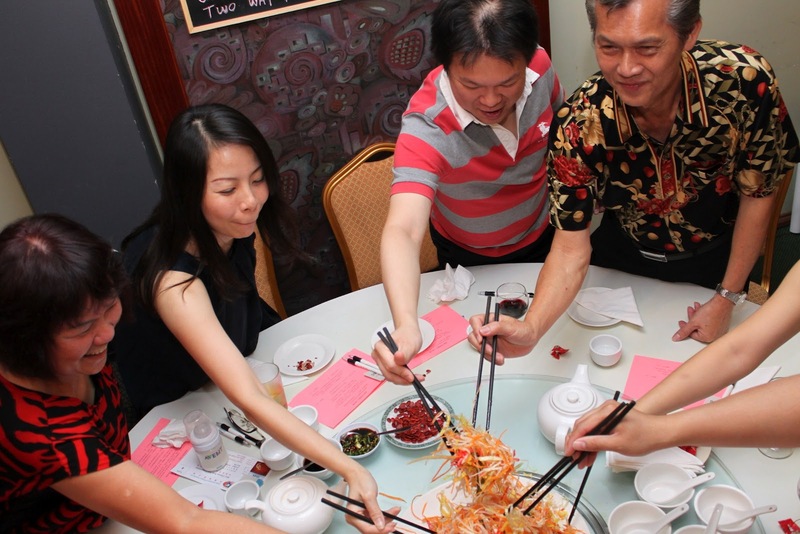 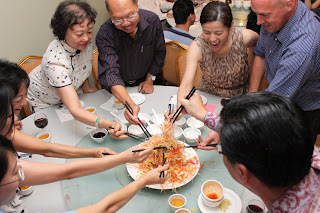 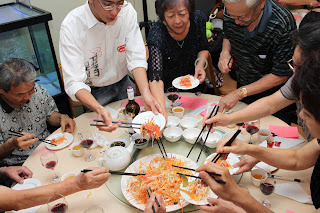 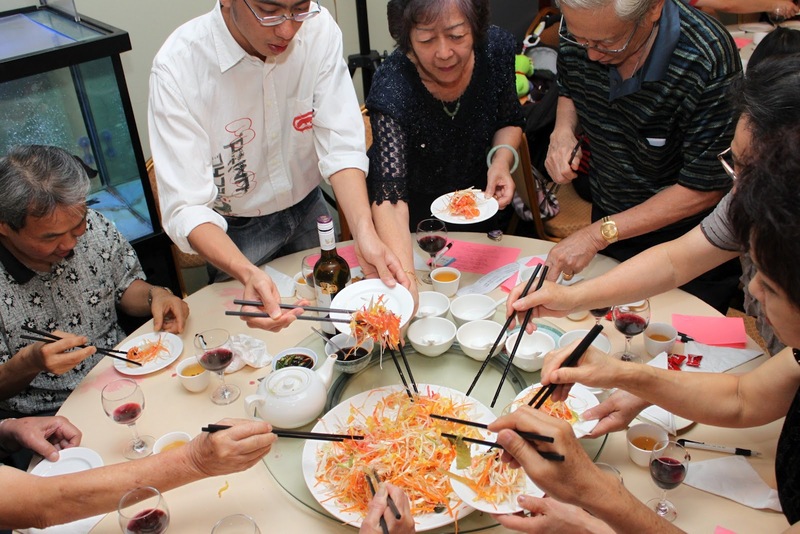 Likewise for every table - 捞生Tossing the raw fish for a good year ahead! Honorary Advisor Mr Francis Yapp presenting a HakkaWA bannerette to Mr Wu Ming, guest of honour. 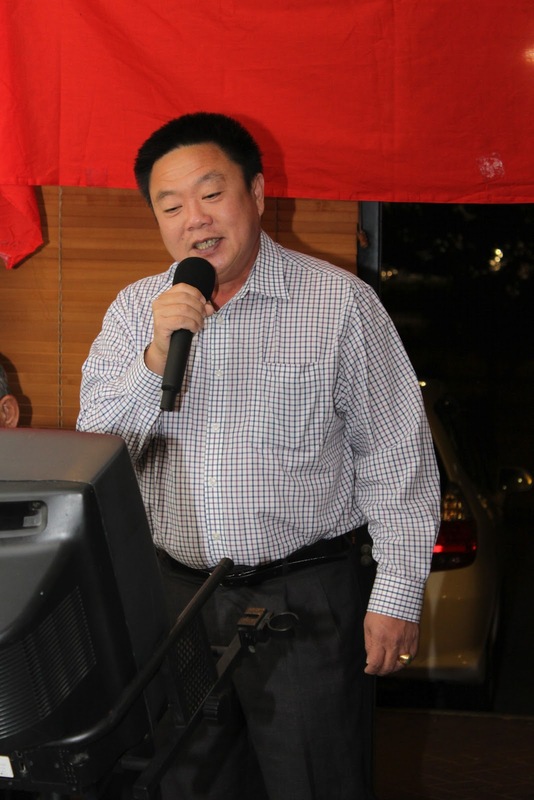 Xu Yi giving a rendition. Vice President Mr Ben Soon showed his best! Executive Vice President Keith Yong giving a speech. The President draws a winning ticket for one of the door prizes. 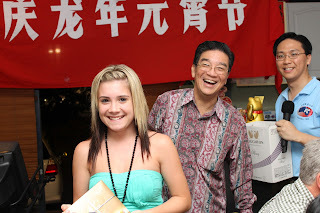 Luck winner of a door prize! Mr Yaw Kan Tong also bought a winning raffle ticket. 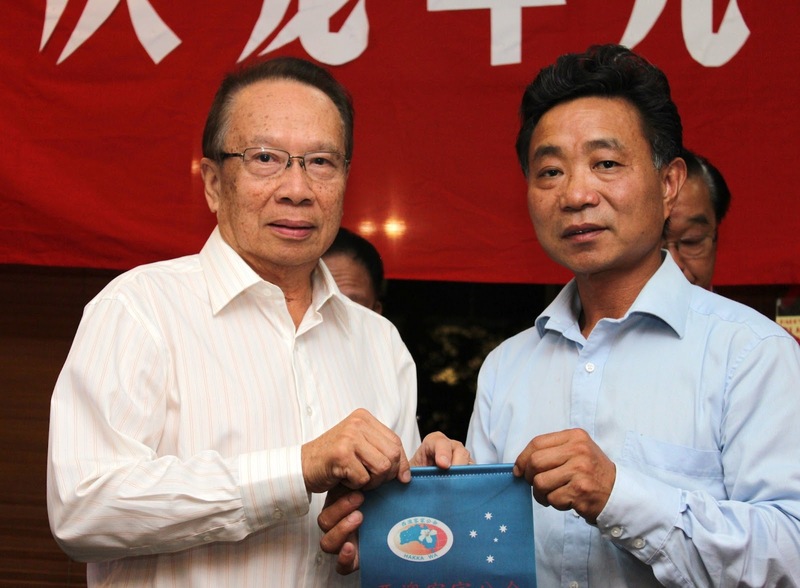 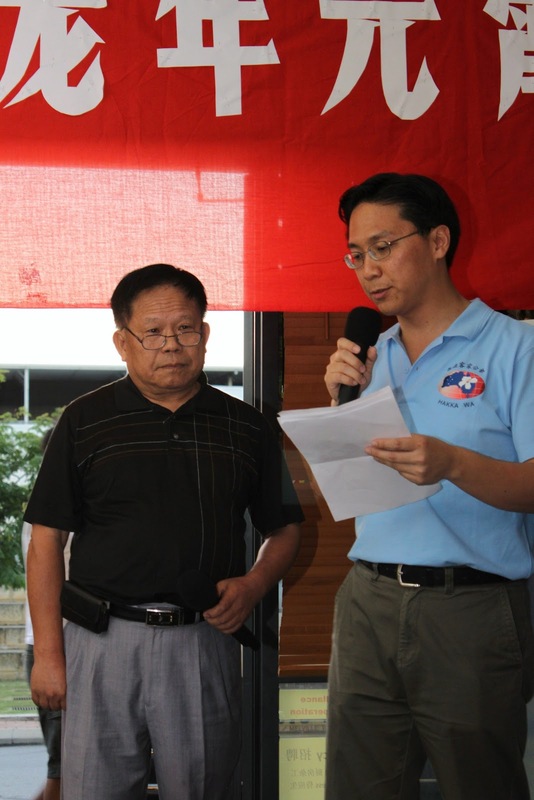 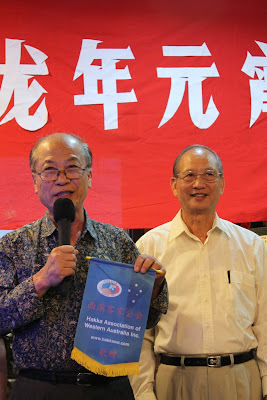 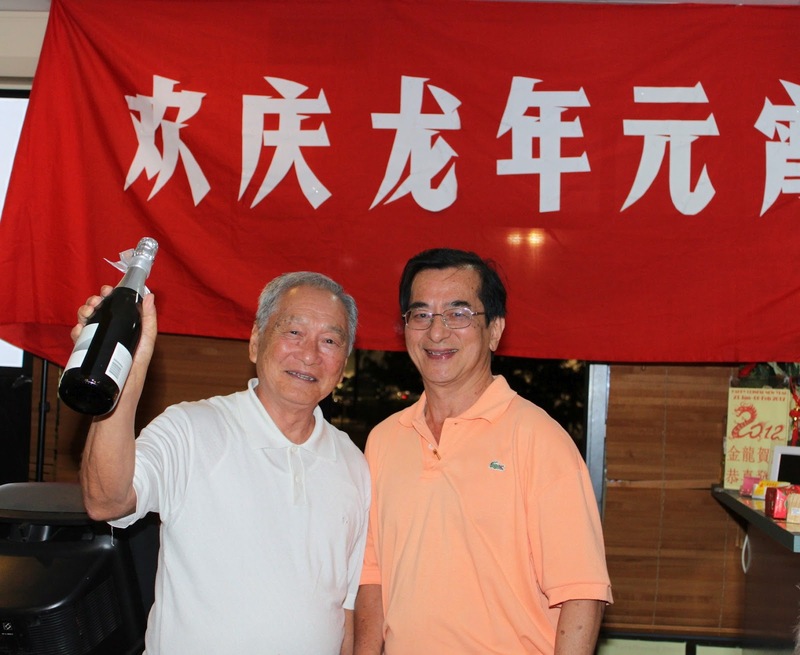 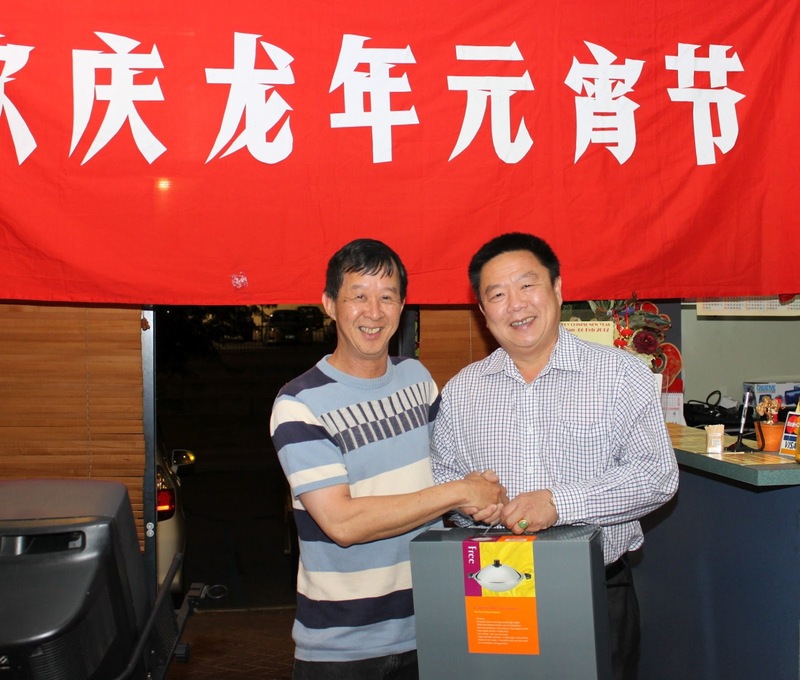 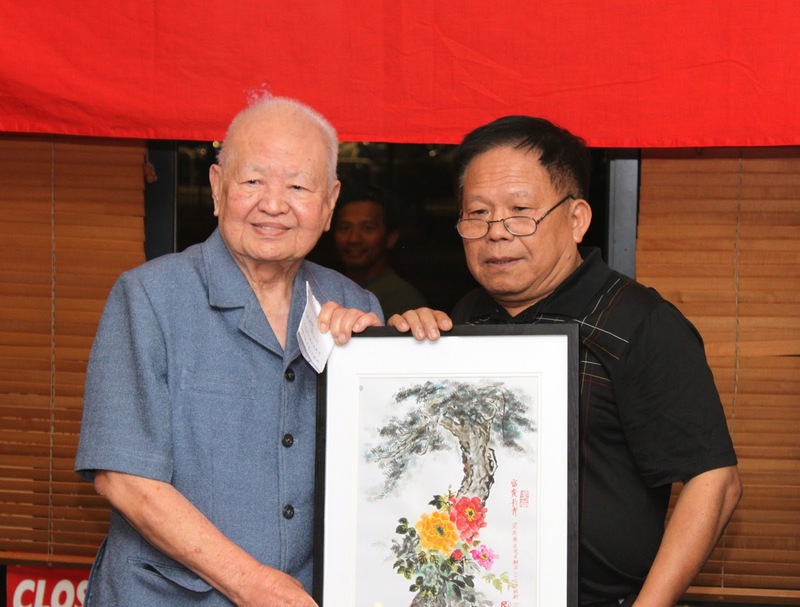 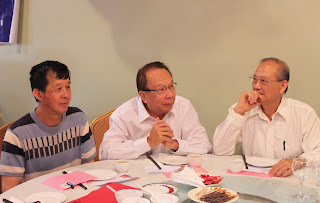 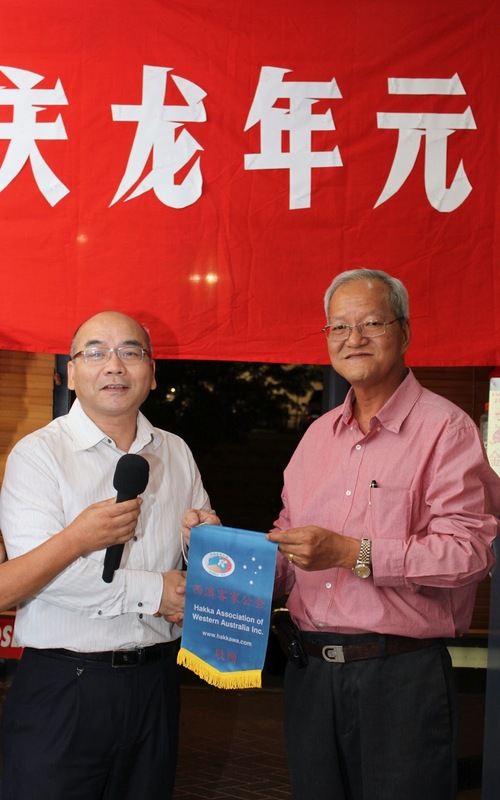 Mr Dominic Siew Tu (right) presenting the prize to new Life Member Mr. James KU Yen That. 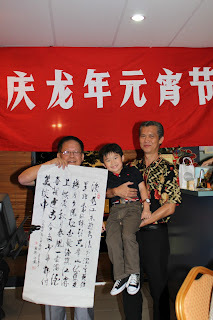 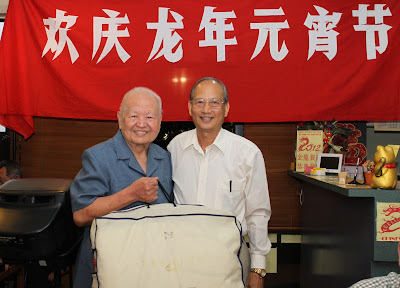 Xiao Ye donated a calligraphy which was won by Norman Chia. 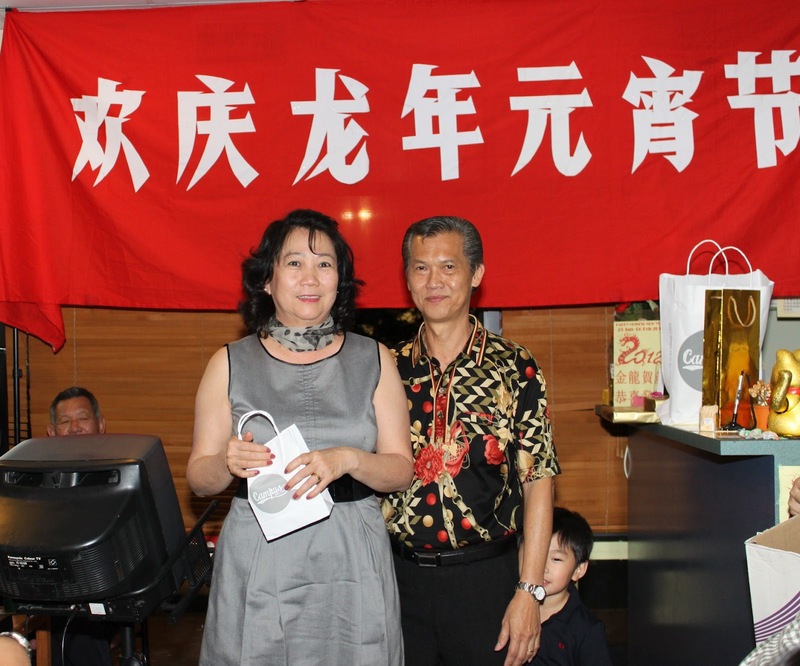 Senior Committee Members Mr Alan & Mrs Lily Yit presenting the prize which they donated, to the winner of the draw. 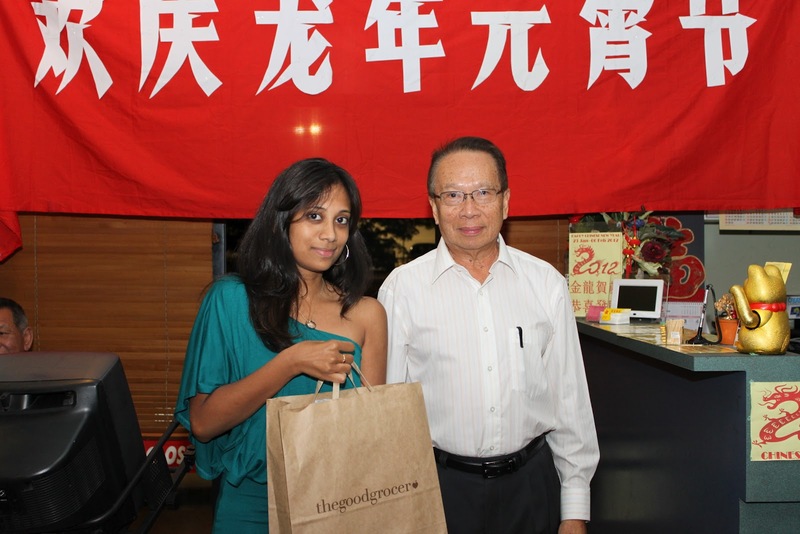 Honorary Advisor Mr Francis Yapp presenting the winner of the prize which he donated . 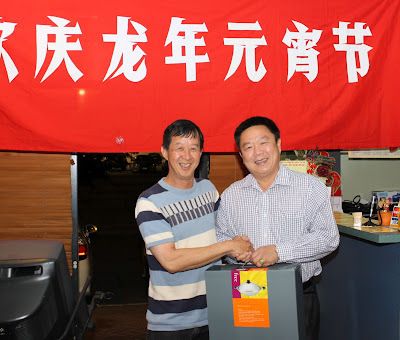 Vice President Mr Ben Soon presenting the Buffalo Cookware which he donated for the draw, to the winner Mr CHIA Shui Chong. Mr & Mrs Ben VB Soon & family runs the Buffalo business in Australia, with 2 outlets in Perth, namely at Myaree and Morley, and members are encouraged to look into their quality products and receive best service and discounts for members. 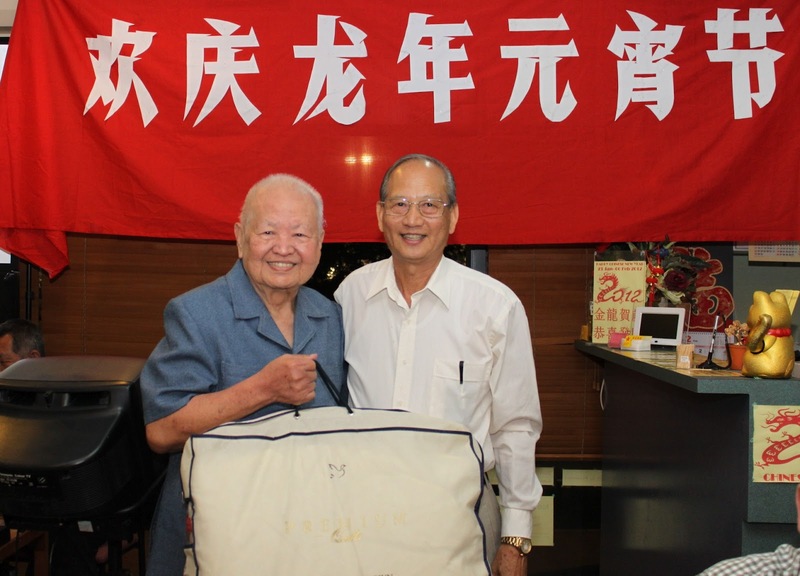 Honorary Advisor Mr James Chong presenting the quilt from Challenge Manufacturing which he donated for the draw, to the winner Mr NOEN. 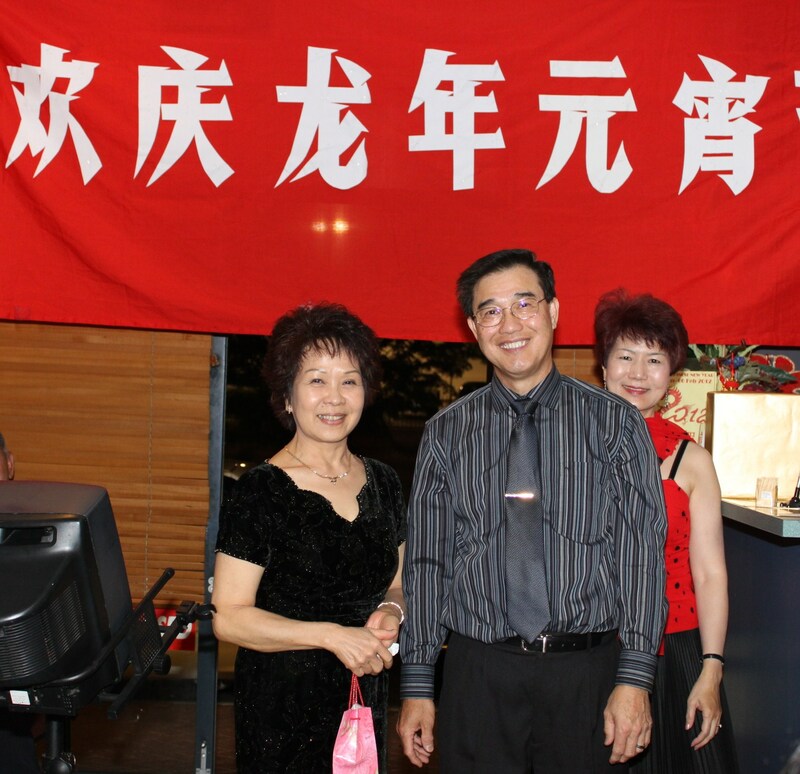 Mr James Chong's Challenge Manufacturing manufactures high quality goose down quilts and pillows, and members are encouraged to contact Mr Chong to discuss your needs. 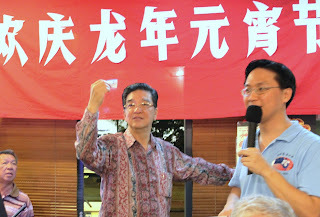 Mr Yaw Kan Tong & Dr Tee having a duet. 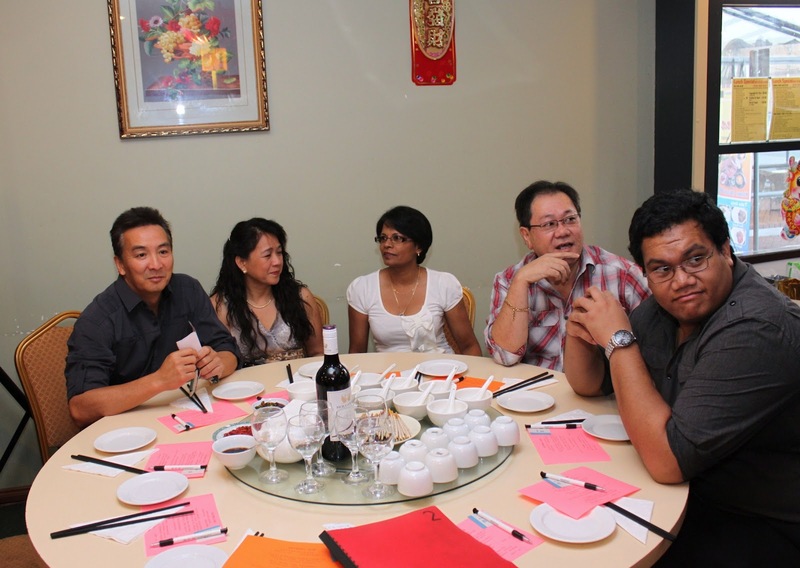 The Yit family enjoying the 10 course dinner. 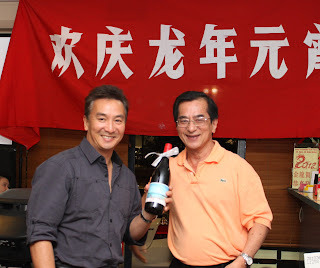 Alan Yit & Chia Shui Chong. 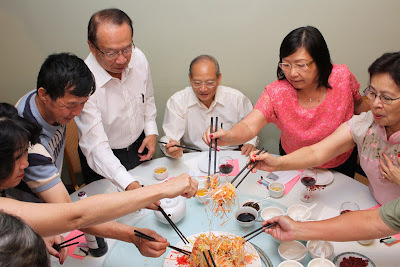 Mr & Mrs Yapp & friend. Singing Star of the night! 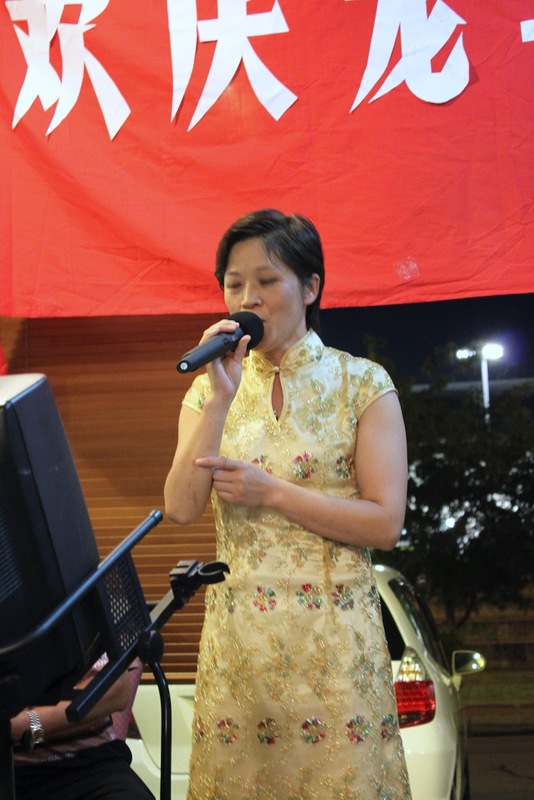 Lily in a duet with Dr Tee. From left: Agnes, Nancy, Robert & Keith, after dinner and enjoying the karaoke singing. 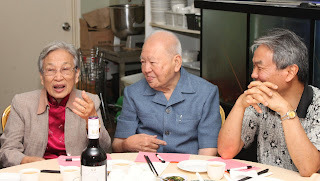 Nancy, Robert & Norman relaxing after dinner. 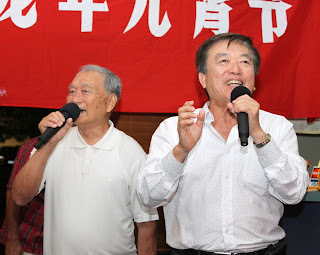 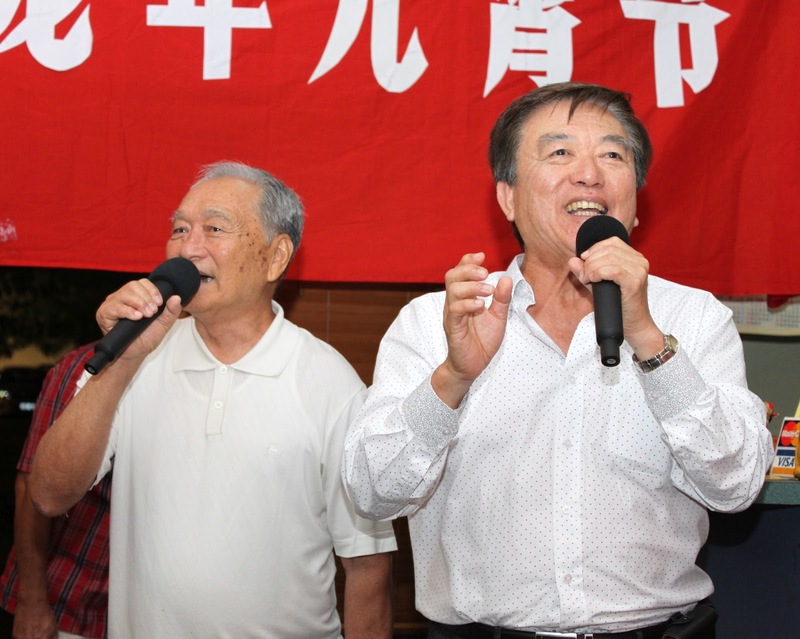 Danny Chan singing the karaoke and at gthe same time taking a picture with Annie, Norman , their grandson, and Xiao Ye.